Ningyocho is a charming part of Tokyo that I was thrilled to discover. I had lived in Tokyo for years and when I first walked the streets of Ningyocho I was kicking myself for having not made it there earlier. Many historic food shops and a laid-back energy that is hard to find in the city. Futaba is a tofu-ya that dates back to 1907, that sells soy doughnuts, surely not made 100 years ago. The shop sells a wide variety of tofu and other soy products including soy soft cream, yuba, and soy milk. The glass cases are filled with soft, firm, and grilled tofu. Fried tofu, both thick and thin, as well as my favorite, ganmodoki, tofu stuffed with vegetables and deep-fried. Futaba is on a shōtengai shopping street and if you get hungry, pick up a soy milk doughnut (100 JPY) and some sweet amazaké drink. There is also a restaurant on the second floor above the retail shop. Asagaya’s shōtengai is a covered street filled with many small shops for food, confectionaries, and essential items for daily life. It is a great neighborhood to visit if you are looking for an insight to how suburban Tokyoites shop. Just off the main shopping street is a gem of a soba shop, Kakizawa, named after the owner. Kakizawa-san makes his soba at his shop in a small room at the front of the restaurant. Each day there is a limited number of a set lunch that is a good value and includes his hand-rolled buckwheat noodles. On a recent visit the 1,200 JPY lunch was deep-fried eggplant in a broth, four types of tempura (including shrimp – I had baby sweet corn instead), salmon and onion rice, pickles, and soba. The 80 percent buckwheat soba has a nice texture. We make salmon rice at home, but have never included onion. This dish is a game-changer and I will be recreating this dish at home. The waitress spoke some English. She said that not many non-Japanese are coming, but that the shop welcomes them. My only tip for you is that if there are people waiting, be sure to leave when you are done eating. This is a lovely set lunch in a simple Japanese setting. Asagaya is only a few minutes from Shinjuku on the Chuo line. The shop is apparently busy on weekends, so go early. 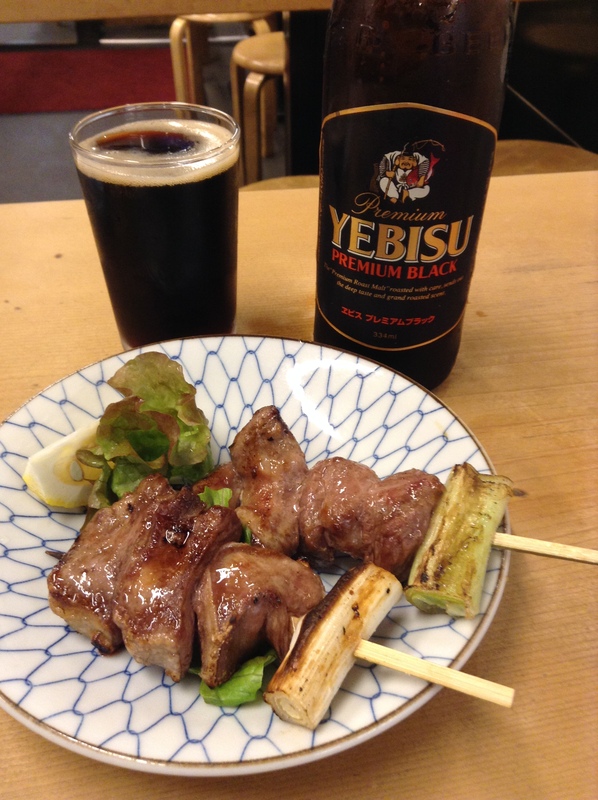 On the shotengai street of Azabu-Juban it is hard to miss the smell of yakitori, grilled chicken skewers, coming out from Abe-chan. The shop opens at 3 p.m. and it is not unusual to see older diners come in before the evening rush. 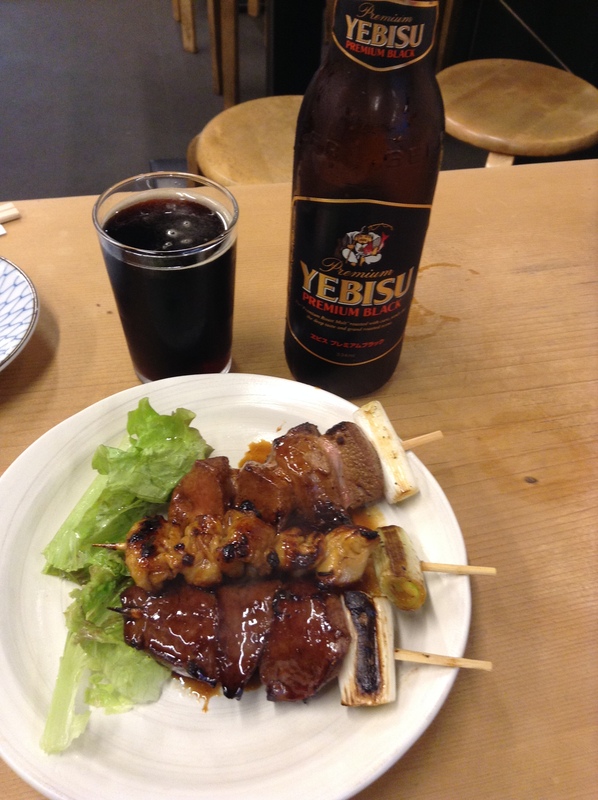 Abe-chan is a local yakitori-ya that is a good value and fun. It’s not competing with high-end shops like Ginza Birdland for a special night out, but is a shop that you come in for a few skewers with family or friends. and which are best simply salted. Can you believe this? The pot with the tare sauce at the front of the shop has been constantly topped off for 70 years. 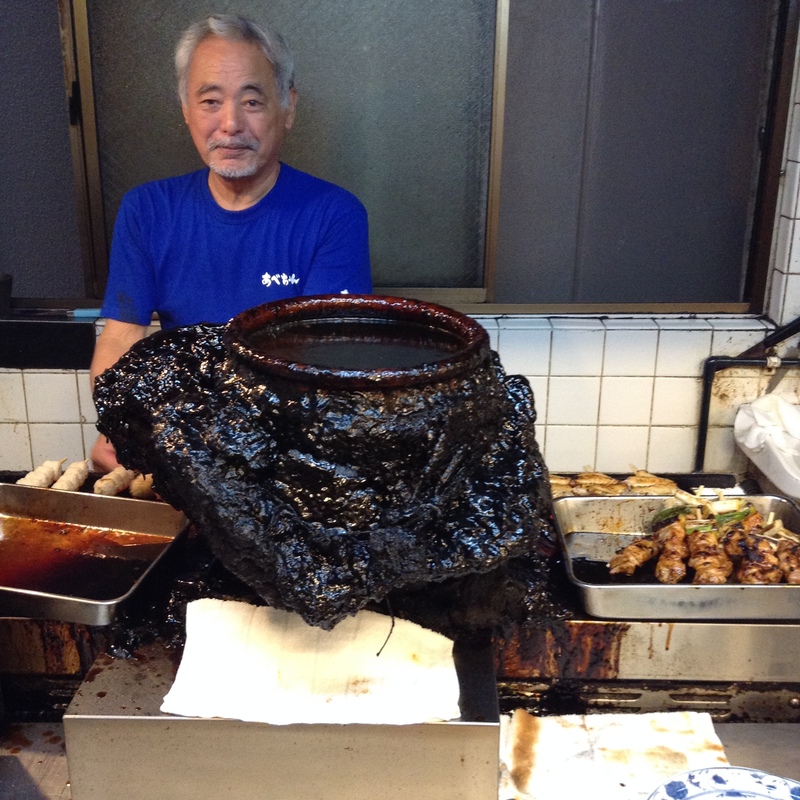 The handsome father, here in the photo, on television said that if the big earthquake comes he would race to the shop to protect this sauce pot. Love it. In the blue shirt is the son, also Abe-chan, as Abe is the family’s last name. 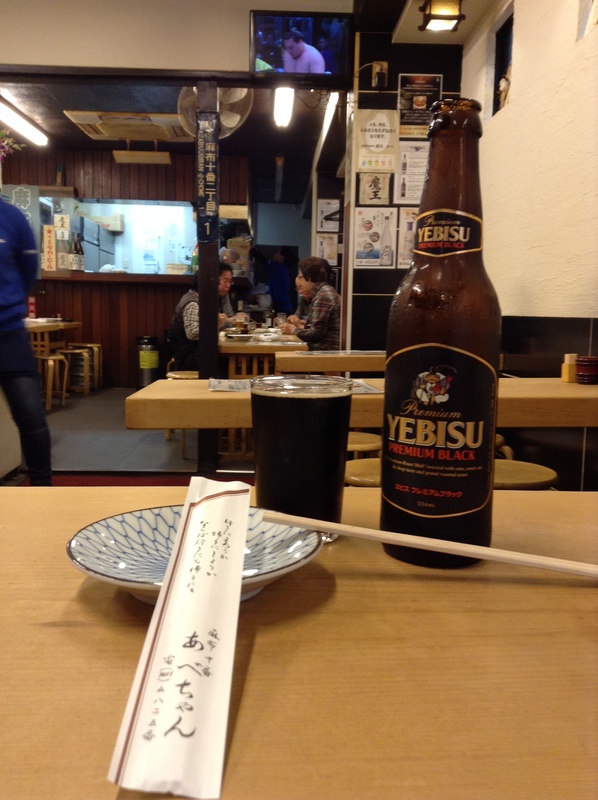 I love this local yakitori-ya and it’s just down the street from my favorite bar in the city, Bar Gen Yamamoto. Abe-chan has a second shop around the corner and the staff can direct you there if the main shop is full, which is often the case. If you have been to Kichijoji’s famous shōtengai on the North side of the station, most likely you have walked past the long lines at Satou. 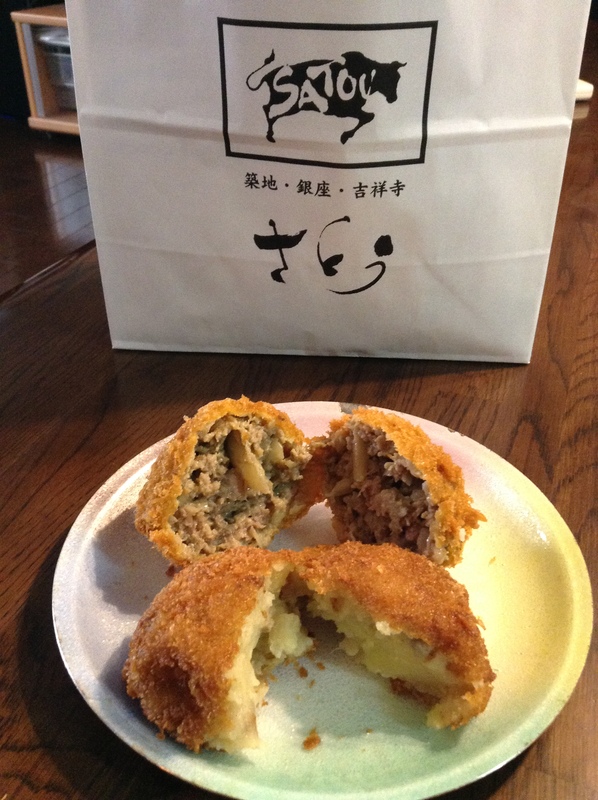 The shop is famous for its menchi katsu, seasoned ground beef patties covered in panko and deep-fried. The line is infamously long. 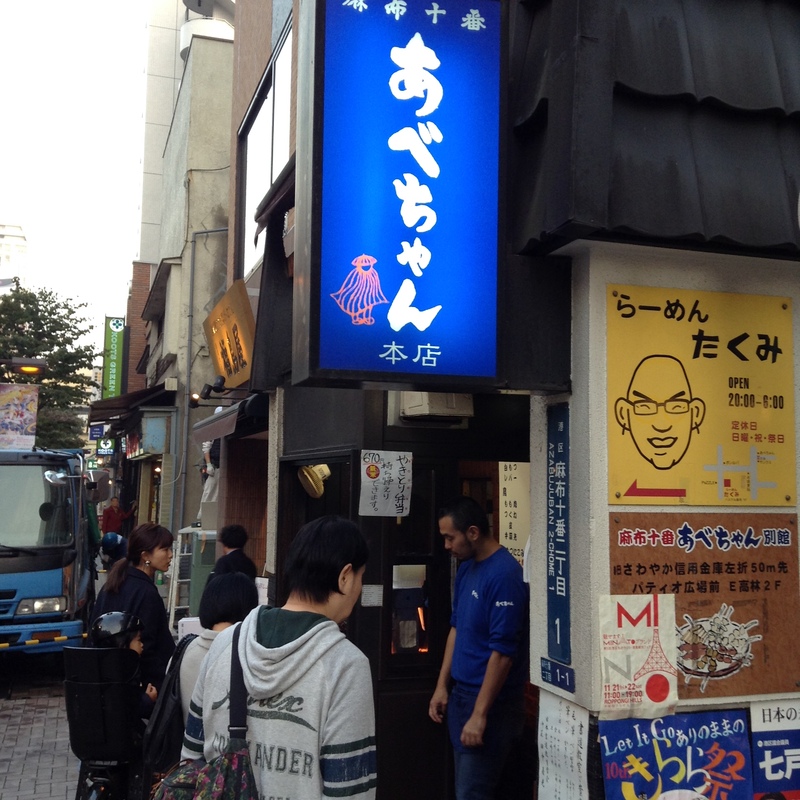 I have never seen Satou without a long line, so I was thrilled when Satou had a temporary stall in our local depachika. There were only three people in line so I joined the queue. The first two ladies in line each ordered about a dozen pieces. Typical for popular items like this. Most likely the ladies are not buying only for their own household but will share these with friends as Satou menchi katsu is very famous. The menchi katsu (200 JPY) was disappointing as was the potato croquette (140 JPY). It was fine, but nothing special, and definitely not worth standing in line for. So curious why people queue for this. Because it is famous, even if it is not good? There is a steakhouse on the 2nd floor of the take-away shop that also is popular.